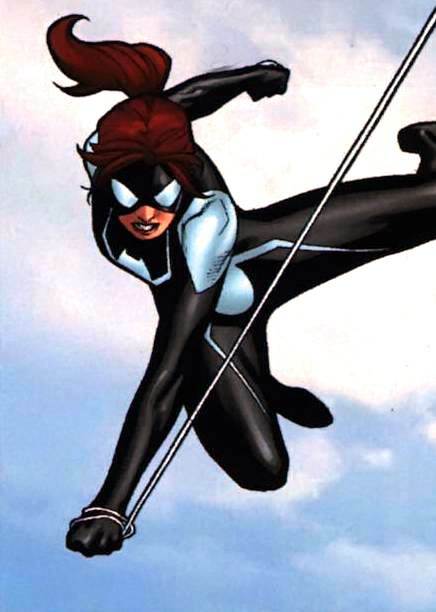 She's Fantastic: Marvel Titan Hero Series - SPIDER-GIRL! A note on QC: Like I mentioned above, I ended up with two of this figure. One of them has sloppy face paint (there was black paint misted onto her skin). Then the other one has a completely messed up torso. The white paint was smudged and smeared (like it had been put into the packaging wet). Luckily for me, I was able to pop off the good head and swap them. I'm mentioning this because with my two previous Titans purchases, I haven't had any paint issues at all. Anya's back really intrigues me. There seems to be a port for some kind of snap-on accessory. I haven't seen this on any other figures so it appears to be an intentional re-sculpt for some upcoming product. I'm not too familiar with the Titan line, but perhaps there is some kind of shared zip-lining gimmick or something? 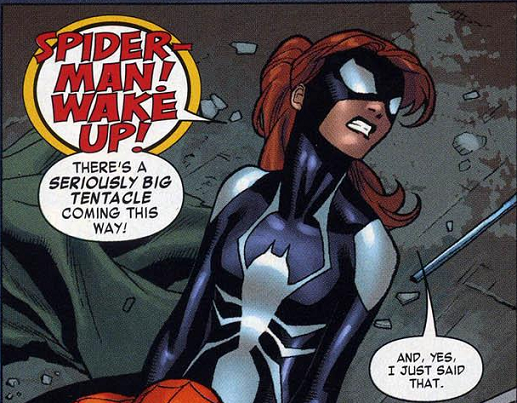 That would be the obvious answer to me, but my fantasy answer is that perhaps they are planning a Mary Jane as the Scarlet Spider, complete with metal spider legs coming from her back.. or Lady Spider! Spider-Girl has a major improvement in articulation over previous female figures. She is able to do a full split and raise her arms to side, where Black Widow and Gamora had simple T-crotch articulation and swivel shoulders. She has full jumping jack potential now! But still, she only has five points of articulation: Ball head, shoulders, and hips. And with two other 12" ladies: Jedi Training Rey and Wonder Woman. From Left to Right: Jada Nano Metalfigs, Marvel Legends, Marvel Titans, Walgreen Exc Funko POP, SD Toys, and Eaglemoss. Is that Funko pop at the bottom new? I've been looking for something new at Walgreens for weeks to no avail. It is a Walgreens exclusive, but the website says it's only available online. I ordered mine in mid-december.